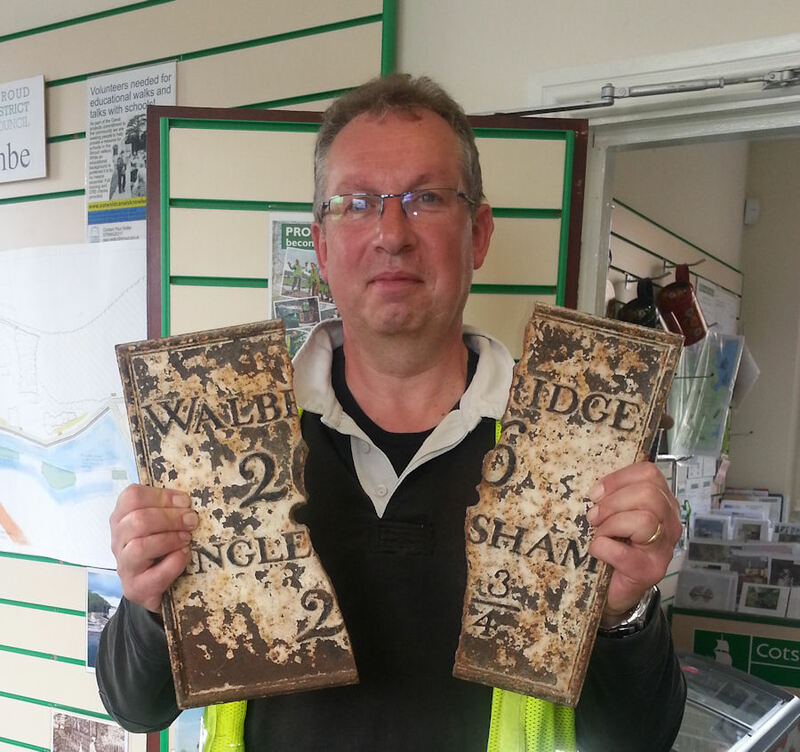 Since last July's report on the search for ‘lost’ Thames & Severn Canal milestones and their associated plates, Cotswold Canals Trust volunteer Jon Pontefract has had some significant success in locating three more. Canal historian and archivist Richard Courtney-Lord contacted Jon to explain that he held a broken cast iron plate from a milestone. The Thames & Severn Canal Company had positioned the milestone at High Bridge (east of Kempsford). Jon, pictured right with the broken plate, has arranged for it to be repaired by specialists. 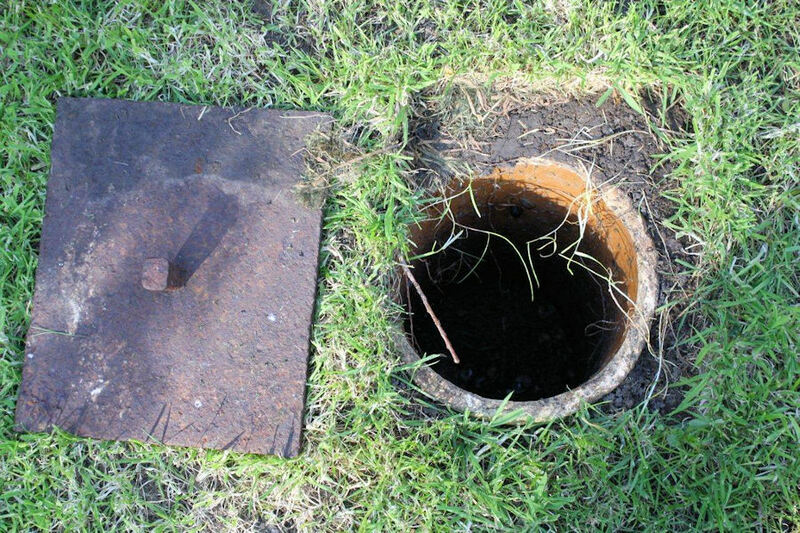 Jon’s detective work resulted in finding a further missing plate lying flat in the lawn close to its original position at Cricklade Wharf House. The plate was being put to good use as a cover over a water main tap. Unfortunately, the milestone that bore the plate is now lost under the A419 dual carriageway. Jayne Perry, the owner of Cricklade Wharf House, has generously donated the plate to the Cotswold Canals Trust for display. Needless to say Jon was very happy to provide Jayne with a replacement cover to protect the water tap! See third picture. Jon reports that he has located a further milestone on private land. Jon is keen to locate a few more missing milestones that have remained elusive and do not even appear in any known photographs. 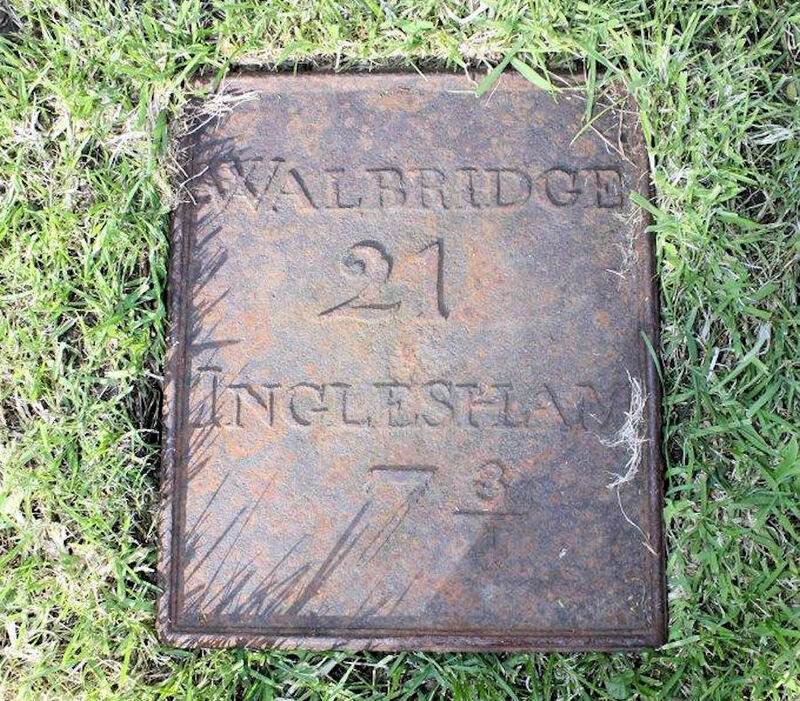 The plates always included an initial number that indicated its distance from Walbridge. (That is of course the original spelling of Walbridge with a single letter ‘l’). Locations of the missing milestones are listed below. Click here to email Jon if you know the whereabouts of any of these milestones or their associated plates. Click here to see the original report on Jon’s milestone hunt. A sad to note to end this report… Cotswold Canals Trust’s former archivist Keith Harding, mentioned in the original report, passed away on Saturday 7th June 2014.